List of Australia based yoga teachers (RYT 200, RYT 500, ERYT) registered with Yoga Alliance offering yoga teacher training courses and retreats in Caloundra, Chatswood, Penrith, Parramatta, Melbourne, Coburg, Perth, Ipswich. Blacktown, Canning Vale/Perth, Campbelltown, Surfers Paradise, Doncaster, Geelong, Dandenong, Beenleigh, Tamworth, Adelaide, Newcastle, Bankstown, Cheltenham/Melbourne, Hervey Bay, Townsville, Burleigh, Heads, Darwin Strathfield, Wollongong, Mandurah, Albury, Werribee, Cairns, Sydney, Clayton/Melbourne, Brisbane, Launceston, Bunbury, Liverpool, Bendigo, Fremantle, Bundaberg, Mackay, Burnie, Canberra, Ballarat, Chadstone/Melbourne, Rockhampton, Toowoomba, Baulkham Hills, Sunshine/Melbourne, Hobart, South Australia, New South Wales, NSW, Tasmania, Queensland, Victoria, Western Australia, Bangalow. Emma began studying Yoga, Tantra and Ayurveda with master teacher Yogarupa Rod Stryker in the esteemed Para Yoga tradition. She is an E-200 hr RYT, 200 hour Teacher Trainer and a Level 2 Yoga Australia member. Heather Agnew is an internationally recognized E-RYT Senior Yoga Educator and Master Level fitness, yoga, and lifestyle professional with over 20 years of professional experience in fitness and Pilates training, Thai yoga massage, and many classical and modern yoga forms. 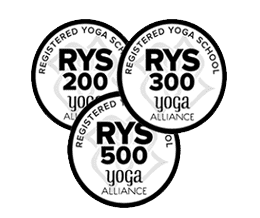 500-hour RYT (registered yoga teacher) with Yoga Alliance since 2004, teaches traditional Hatha Flow Style Yoga, a culmination of all that I have learned in my trainings and from my own practice. I can accommodate people with special needs, injuries and various levels of flexibility. I taught Iyengar style yoga and Ashtanga Vinyasa yoga at the Auckland Yoga Academy full-time for 7 years, teaching Beginner, Intermediate and Restorative classes. I am currently registered with Yoga Alliance as an RYT-500 instructor. Nicky Knoff ERYT500 – was born in 1938 to a Dutch father and an English mother. she runs yoga teacher training courses, and teaches yoga workshops, intensives, private yoga classes, public yoga classes and holistic healing at the Knoff Yoga Headquarters. Join our ever-growing community at Tamara Yoga and experience the deeply relaxing and invigorating movement of Sweat and Samadhi, Restorative, Yin and Vinyasa Yoga. Tamara is an E-RYT 500 Registered Yoga Teacher with Yoga Alliance and Senior Teacher with Yoga Australia.